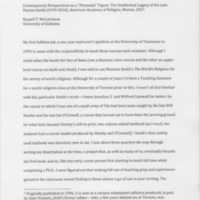 Manuscripts and files of presentations at the AAR. Videos of various panels, presentations, and addresses given at the AAR. 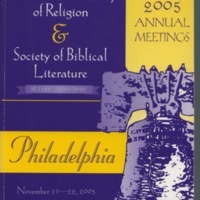 A collection of AAR/SBL program book covers. 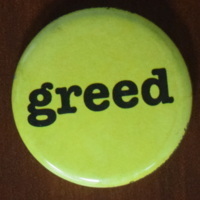 A collection of buttons worn at the AAR/SBL. 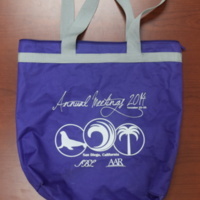 A collection of AAR/SBL tote bags. 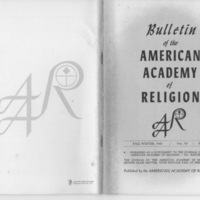 Copies of the Bulletin for the American Academy of Religion from 1964-1969. 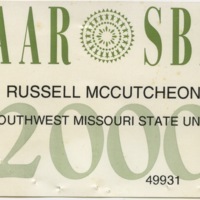 A collection of name tags across the history of the AAR/SBL annual meeting.